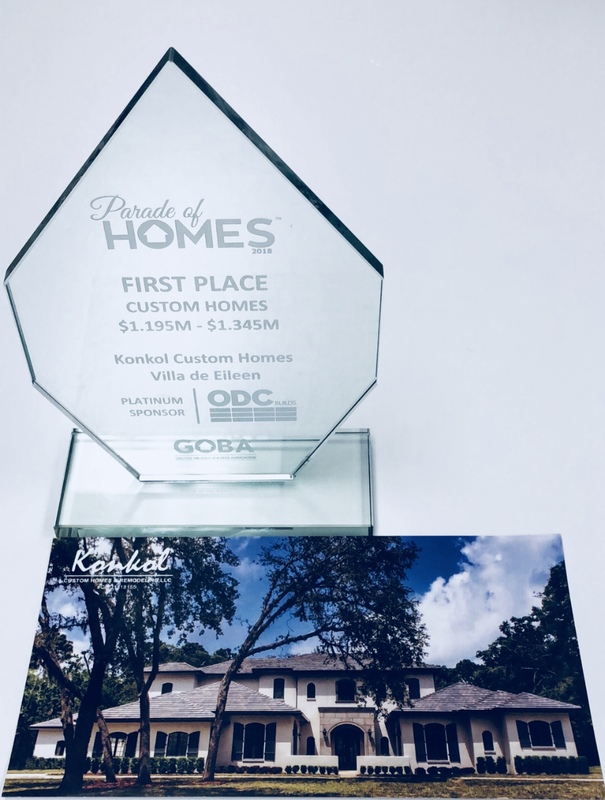 Konkol Custom Homes is proud to announce a 1st place award for their entry in the Greater Orlando Builders Association 2018 Parade of Homes. 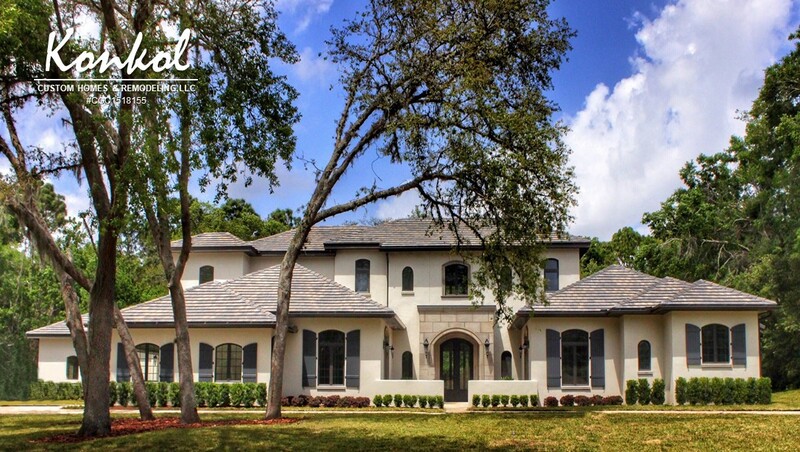 Builders from all over central Florida submitted entries to this year’s Parade of Homes, and Konkol’s Villa de Eileen was named first in their category: Custom Homes at the $1.195 M – $1.34 M price point. Located in the beautiful Sweetwater Club in Longwood, the Villa de Eileen is an expansive, 6,954 sq. ft. 4 bed, 4 bathroom custom home with a grand entry, summer kitchen, outdoor living room, and more. Check out this gorgeous home on the GOBA’s website for more details on its prize-winning craftsmanship. This year’s Parade of Homes took place May 5-13 and showcased 53 Orlando home builders, developers, and remodelers. Each entry was judged by industry experts from Florida and other states, to evaluate the project’s quality of craftsmanship and architectural design. From there, judges deliberated to name a winner in each category, at each price point. With more than 92 entries this year, Konkol is proud to call their entry a first-place winner. The Parade of Homes is more than just a competition, however. It’s also a free, self-guided tour open to the public, and the signature event of the year for area builders. The Parade of Homes offers an opportunity for local builders and homeowners to come together to discover the latest innovations in home building, from energy efficiency to sustainable architecture to stunning interior design. 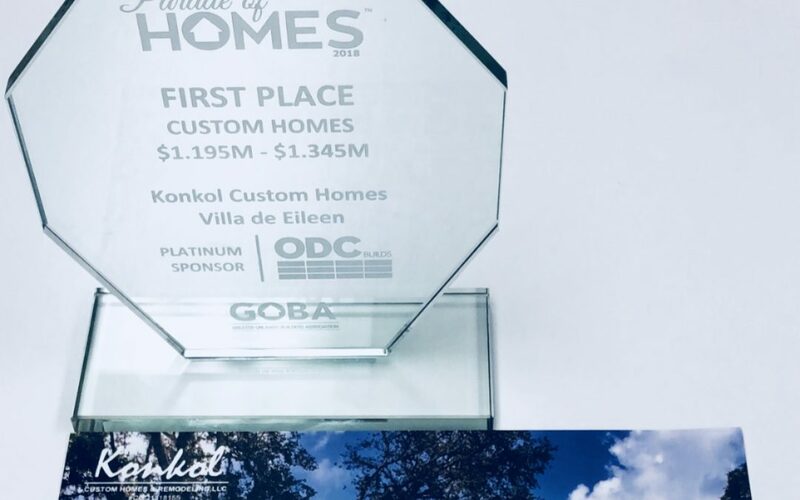 Konkol Custom Homes would like to thank the Greater Orlando Builders Association (GOBA) for hosting the Parade of Homes yet again. The GOBA is a professional trade organization comprised of approximately 700 businesses throughout Orange, Osceola, and Seminole Counties, which provides legislative advocacy, continuing education programs, services, and networking events on the behalf of its members. The Greater Orlando Builders Association Foundation, the GOBA’s charitable arm, is dedicated to fundraising for organizations who help local children and families in need and have donated more than $1 million to charities across central Florida. For more information on GOBA or the Foundation, visit their website: Greater Orlando Builders Association.